I've been very bad - and I apologise. I know you've been coming here once, twice, three times a day to discover what I've been up to, and have instead found the place deserted, tumbleweeds rolling through this small part of the internet. Since I last updated I've had a book out and everything! Please forgive me. I've been writing, I've been working hard, but it's no excuse. However, I'm going to be better, I'm going to change, and moving forward, I'm going to fill this site with lots of delicious content. Because it's what you deserve. Anyway, you may know that I have a new thriller out. 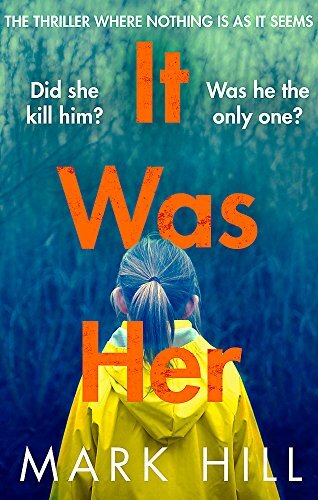 It Was Her is pulling in all kinds of rave reviews, and I'm going to post some of them soon. plus, I've got a big announcement to make - a BIG announcement - so stay tuned for that. In the meantime, check this out. The top entertainment site CultureFly has featured It Was Her as one of its Top Ten crime thrillers of the summer.